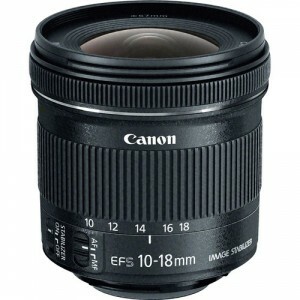 The Canon EF-S 10-18mm f/4.5-5.6 IS STM is a rare example of getting more than you paid for in terms of optical quality! Typically, Ultrawide zoom lenses are both big and expensive, but the EF-S 10-18mm f/4-5.6 IS STM lens breaks both those barriers with a 67mm filter thread and a $299 retail price. The build quality is not bad, but it does have a plastic mount. Normally I am not a fan of plastic on the mount, but since this lens is so small and inexpensive I am willing to overlook the plastic on this lens. As this lens is an EF-S model, it is only compatible with Canon APS-C cameras such as the Canon Rebel series, the 20D-70D and the 7D/7DII cameras. It will not mount at all on a full frame or older film camera. This lens provides crisp images with excellent contrast and detail, especially when stopped down to it’s sweet spot of f/8-f/11. Because it is so wide, depth of field is quite deep unless you are focused very close to the camera. 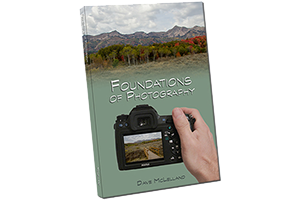 This lens is excellent for landscape work and architectural photos. Real estate agents will especially enjoy using this lens when shooting the properties they are selling. Another weakness common in ultrawide angle lenses is Chromatic Aberration (CA), this lens does suffer from some CA at the widest open apertures but like distortion this can be corrected in post rather easily. I have to admit I was surprised by the vignetting on this lens. Yes, the lens does suffer from some vignetting, but not as much as I had expected considering the size of the lens. Build a lens with a too-small diameter and you will get vignetting, but by keeping the minimum aperture to f/4.5 at the widest setting helps to alleviate the problem. Stopping down will help to minimize the issue. This can also be corrected in post, or if you are shooting in jpg with a camera that features autocorrect the problem is minimal. The Image stabilization is a welcome yet rare feature on an ultrawide zoom lens. Because of the f/4.5-5.6 max aperture, it is even more important, allowing for hand held shots at night such as the Las Vegas strip, where using a tripod is not practical. The IS system works quite well, allowing users to hand hold at shutter speeds as slow as 1/2 second or longer. Like all ultra wide angle lenses, this lens does suffer from some barrel distortion at the wide angle end, and pin-cushion at the tele end. However, they are reasonably well controlled and most modern cameras can correct for this if you are shooting in jpeg, and software such as Lightroom and the Canon DPP have profiles for this lens as well. I love the Size and Price of this lens, along with the fact that it has Image Stabilization. Image quality is very good. Overall the lens is a tremendous value for an ultrawide angle zoom. I really wish Canon had made it with a metal mount just to make me feel a little better about the durability. I also wish the lens hood was included, but this is a general complaint about consumer lenses from Canon. Canon only includes lens hoods for their “L” series lenses. To be honest, these are nit picks, and neither of these would stop me from purchasing this lens. This lens is the best value in an ultrawide lens for any camera, it’s a shame that it only mounts on Canon EOS Digital SLR cameras with the APS-C sensor. Yes, it has a plastic mount and does not have a distance scale, but at $299 for an ultrawide angle lens this one is a killer deal. Real Estate agents take note, this is the perfect lens on a Rebel series camera for your interior shots of your listings. based on 1058 user reviews online.